I promised two blog posts today and here is my second. I have done my nails twice today because after I did them the first time I realized I own no blue nail polish after going through and getting rid of a lot of my old stuff. I made a run to Sally Beauty Supply (which recently opened one five minutes from my house) and picked up three new polishes and a stamping kit. 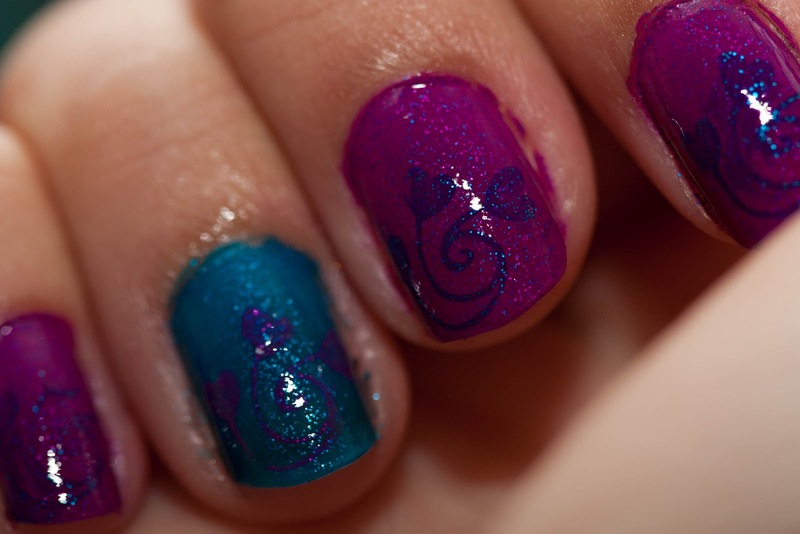 I only used two of them for today's mani, but I got Flying Dragon, Blue Sparrow, and Optical Illusion.